Donna Theriault: Owner/Master Stylist . Licensed since 1988. Specializes in: Curly hair, trendy hair cutting. Personal interests are Aruba vacations, working out, and family time! Eliza: Senior stylist. Licensed tylist/make up artist since 2007. Specializes in: Long hair highlighting/ombre, and men's cuts.Personal interests are working out, enjoying life with family & friends.Speaks Polish. Aniko: Nail Tech./ Certified Expert Skin Care Therapist since 1998. Specializes in: Facials, nails, and body waxing.From Hungary, Aniko considers her co-workers & clients to be her family in America. Her passion is her job! Ariel: Senior stylist. Licensed since 2012. Specializes in: Blow outs, long hair, and keratin treatments. Personal interests are family and traveling. Christopher: Senior Stylist. Licensed since 2013. Specializes in: High fashion hair color, razor cutting, and balayage. Personal Interests are playing/teaching drums,& martial arts. Stephanie: Junior Stylist. Licensed since 2008. 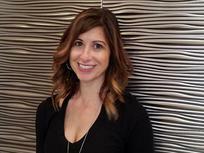 Specializes in: Men's cuts and hair coloring.Personal interests are her children. Jessica: Junior stylist. Licensed since 2015. Specializes in highlighting, and balayage. Amanda: Nail Technician since 2013. Specializes in nail art, acrylic & gel nails. Gives an amazing massage with pedicure!